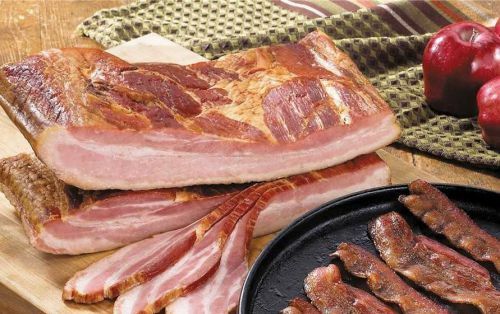 All of our bacon is all natural with a great smoke flavor and color. We have many different flavors to brighten up your breakfast. We smoke and slice the bacon in house. Hickory smoked Bacon with a great smoke flavor and color. 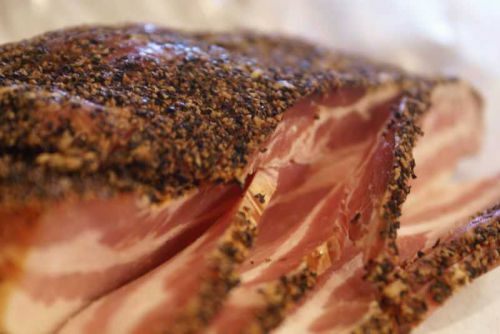 Our Pepper flavored bacon is all natural with a great smoke flavor and color. We smoke and slice ALL Leroy Meats bacon in house. 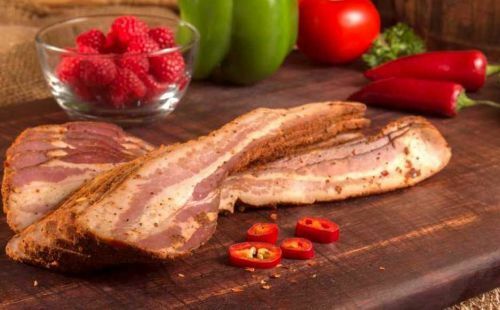 Our Raspberry Chipotle flavored bacon is all natural with a great smoke flavor and color. We smoke and slice ALL Leroy Meats bacon in house. All natural bacon with a great smokey apple flavor.